When you order fresh live Maine lobster straight to your door from Cape Porpoise Lobster Co., you’re bound to have a delicious meal. A single pound of lobster should take about eight minutes. 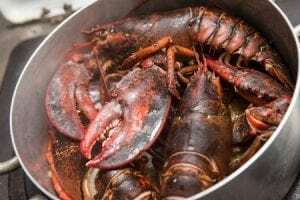 Two pounds will need about 15 minutes to boil, and a large meal of five pounds of lobster will need 35 to 40 minutes. Cape Porpoise Lobster Co. makes things easy with a handy chart that tells you how long to cook your lobster, including fractions of pounds. Make sure to start the timer as soon as you close the lid of your pot. Ever thought your lobster was done boiling only to discover it was still undercooked? While cooked lobsters do turn bright red, that’s not the best sign your lobster is done. To check for doneness, crack a lobster open where the carapace and the tail meet. If it’s done, the meat will be completely white rather than translucent. Regardless of how much lobster you’re cooking, make sure the pot you choose is large enough. When there are too many lobsters in one pot, the heat doesn’t circulate evenly. On average, a 4- or 5-gallon pot can handle 6 to 8 pounds of lobster. Now that you know how to long to boil your lobster, it’s time to place your order and get cooking. Call Cape Porpoise Lobster Co. at 1-800-967-4268 to get fresh Maine lobster delivered straight to your home in 24 hours or less! When you order fresh live Maine lobster from Cape Porpoise Lobster Co., we can assure you that you’re in for a delicious meal. 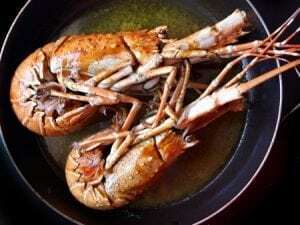 However, if you’re a lobster newbie you may need some help with the basics of lobster cooking. Luckily, we’re here to help. First, make sure to choose a pot with plenty of room. 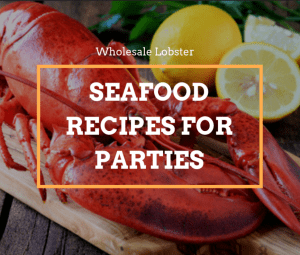 If the lobsters are crowded together, the heat won’t circulate evenly, and you’ll wind up with some lobsters that are underdone and some that are overdone. A 4- or 5-gallon pot can handle 6 to 8 pounds of lobster. Place a couple of inches of salted water into the pot. Set a steaming rack inside the pot and bring to a boil over high heat. Then, using tongs, lower live lobsters one at a time into the pot and close the lid. Here’s a handy guide to how long you should cook the lobster, depending on the weight. Make sure to start the timer as soon as you close the lid! How do you know when your lobster is done? Cooked lobsters turn bright red, but that’s not the best indicator that your lobster is fully cooked. Crack a lobster open where the carapace and the tail meet. If it’s done, the meat will have changed from translucent to white. Now that you know how to steam your lobster, it’s time to place an order. Call Cape Porpoise Lobster Co. at 1-800-967-4268 today and have fresh Maine lobster delivered to your door in 24 hours or less! Check our blog often for more tips and delicious recipes! Posted August 6, 2018 by Cape Porpoise Lobster Co. If you’ve just ordered some fresh live Maine lobster from Cape Porpoise Lobster Co., we’d like to congratulate you on your excellent taste. However, you may be wondering: how the heck do I store this? 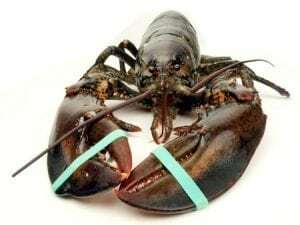 Leave on the rubber bands that came wrapped around your lobster’s claws until after it’s cooked. 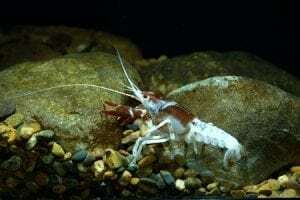 You don’t want to find out the hard way how tough lobsters’ claws are! Refrigerate your lobster immediately, at around 40 degrees Fahrenheit, until you’re ready to cook it. 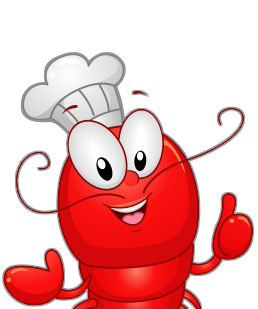 Keep the lobster on the bottom shelf of your fridge to avoid contaminating any other food. Wrap the lobster in seaweed or damp (but not soaking wet) newspaper. This will keep the lobster nice and moist, as well as make it sluggish enough not to try and fight its way out. You can also add a frozen gel pack for extra security. Try to cook your lobster the same day you receive it. (If you order from Cape Porpoise Lobster Co., that’s 24 hours after you place your order). Lobster stored as described above can stay fresh for another day or so, but you don’t want to take your chances. If you open the fridge and your lobster is dead, it’s best to throw it out. Lobsters start to decompose as soon as they die. Now that you know how to store live lobster, it’s time to order some! Shop online now and receive free overnight shipping with all purchases! Nothing says summer like delicious seafood favorites. Need some help deciding what to make for your next gathering or family dinner? 1. Start by preheating your oven to 350 degrees. 2. Mix an 8-oz. package of softened cream cheese, 1 cup of sour cream, 2 ½ teaspoons of Old Bay seasoning and a teaspoon each of Dijon mustard and Worcestershire sauce in a medium bowl. 3. Fold in a pound of lump crab meat. Toss it gently, so you don’t break up the lumps. 4. Spread in a buttered 9-oz. pie dish, or, for an extra-special touch, spoon into two sourdough bread bowls with scooped-out centers. 5. Top with cheddar cheese and another sprinkle of Old Bay. 6. Bake for 30 minutes, or until the top is bubbling. You have the option of placing the dip in the broiler for the last minute or two of bake time to get that nice browned color. This recipe makes about eight servings. Leftovers keep well in the fridge and can be reheated in the microwave. 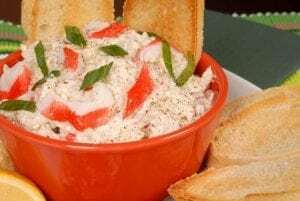 Now that you know how to make a great hot crab dip, it’s time to buy some mouth-watering crab meat. Cape Porpoise Lobster Co. has fresh, high-quality Maine rock crab meat at affordable prices. We’ll have it to your door in no time—we offer free overnight shipping with all orders of our crab, lobster and other seafood products. Call 1-800-967-4268 to place your order today! Summer is the perfect time to try out new seafood recipes your family will love. 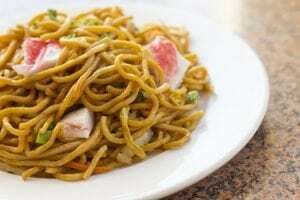 Why not shake things up a bit the next time you make dinner, and try a delicious lobster lo mein? To serve two to four people, you’ll need two live, two-pound lobsters. 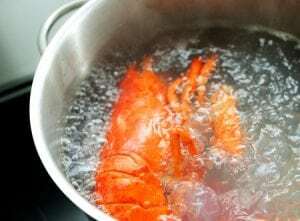 Begin by cooking the lobster: prepare an ice bath, then bring 6 quarts of water to boil in a large saucepan over high heat. Submerge the lobsters head first, then cover and cook for 8 to 10 minutes, until they turn bright red. Then use tongs to place the lobsters in an ice bath for 5 to 10 minutes. Crack and break down the shells, removing as much meat as possible. Chop the meat, then prepare it for cooking by coating it in a half-cup of cornstarch. While the lobster is cooking, prepare a package of lo mein noodles according to the package instructions. Then, make your seasoning: combine 4 chopped green onions with 4 cloves of garlic, a tablespoon of minced ginger and a teaspoon of Chinese five-spice powder, then cook in a wok in canola oil for a minute or two, until fragrant. Add the lobster, reduce the heat and cook for 3 or 4 minutes. The sauce is the final step. Mix a cup of vegetable stock with a quarter-cup of soy sauce, a quarter-cup of mirin (rice wine), a tablespoon of fish sauce and a teaspoon of sugar. Then, add the mixture to the wok with the lobster and vegetables. Add bean sprouts and two more chopped green onions. Stir, then cook until fully heated. Add the lobster mixture to the noodles and enjoy! Looking for the perfect wine pairing for your lobster lo mein? 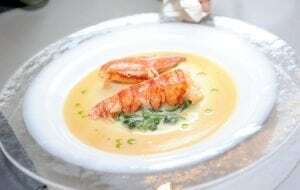 A simple, elegant Riesling with a touch of sweetness will underscore the richness of the lobster and balance the Asian flavors of the dish. Now that you know how to make lobster lo mein, it’s time to buy some delicious lobster. Cape Porpoise Lobster Co. has fresh, top-quality live lobster available at affordable prices. We offer free overnight shipping with all orders of our lobster and other seafood products. Call 1-800-967-4268 today to place your order today, and get cooking! Everyone loves a delicious seafood dinner. If you’re planning a menu around some fresh lobster, shrimp or other marine delights, you might be wondering how to cap off the meal! Read on for a few ideas for desserts that go well with seafood. Think about how often you see fish and seafood dishes accompanied by a wedge of lemon. That’s because seafood and citrus complement each other so well, they were practically made for each other! 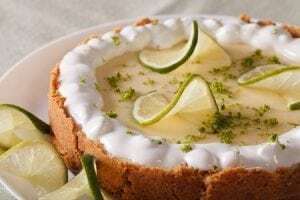 Keep the citrus vibe going with a summery key lime pie. Other citrusy ideas? Lemon meringue pie, lemon bars or orange sorbet. The richness of chocolate balances out the taste of saltier seafood dishes, especially those seasoned with Old Bay. Try a rich but light chocolate mousse, perhaps with some salted caramel sauce on top to continue the interplay of sweet and salty flavors. You could also keep things easy and spoon the sauce over some chocolate ice cream or sorbet. Who said fruit can’t be decadent? Treat-yourself with fruit desserts, like mixed fruit tarts or pavlovas covered in whipped cream, both make an excellent complement for lighter seafood dishes like broiled lobster tail. Now that you’ve picked out a delectable dessert, it’s time to order some seafood for the main course. Cape Porpoise Lobster Co. offers top-quality lobster and other seafood treats that can be at your door, ready to cook, in just 24 hours! We include free overnight shipping with every order. Call 1-800-967-4268 today to place your order and get cooking!